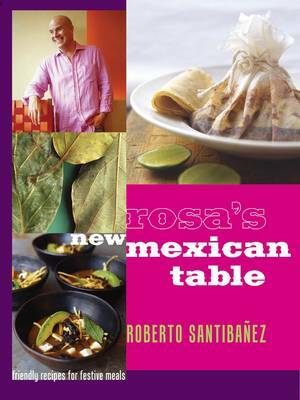 Errata: The Rosa Mexicano website notes the following errors in the book: Book Corrections Page 30, Ceviche Verde In the ingredients for the sauce, it should be 1/2 cup (not 1 cup) water. Page 96, Grilled Adobo-Marinated Chicken Tacos At the beginning of the instructions, pound the chicken to an even 1/4 - inch (not 3/4 - inch) thickness. Page 102, Slow-Cooked Achiote Marinated Pork The opening sentence should read: The translation of the Maya word pib is pit, as in a large pit dug in the ground in which a whole pig, rubbed with achiote paste and wrapped tightly in banana leaves, is cooked. (The pig is not rubbed with adobo.) Page 133, Adobo-Marinated Chicken In the ingredients for the adobo, the missing cross-reference for chiles de arbol should be p. 6. Page 250, Chile-Spiked Chocolate Cakes The very first ingredient should be 1/4 pound plus 4 tablespoons (1 1/2 sticks) unsalted butter – not 3/4 pound (3 sticks). An exhaustive, authoritative section on essential ingredients, equipment, and techniques rounds out this eminently useful, home-cook-friendly - and beautifully photographed - book, which is destined to set a new standard in the category.